The best way to make your pavements and patios look better and get rid of the dirt and soiling they have accumulated is by using the services of a reliable agency. We can implement excellent pressure washing which will make your paved, tiled and natural stone garden areas look brighter and refreshed. Our cleaning technicians have the required skills and technical knowledge to implement effective jet washing using modern machines. We guarantee the quality and the great results of our patio cleaning services implemented in Chiswick W4 to owners of domestic and business estates. We can ensure the removal of all stains, tyre scars, scuffs, paint splatters and mud from your patio. 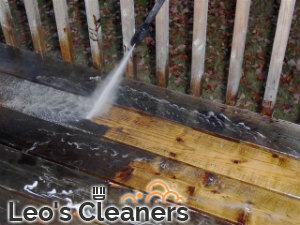 Our cleaning technicians use high-class jet washing machines which can provide hot and cold water pressure washing. 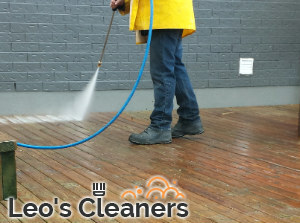 Depending on the condition of the surfaces that need to be cleaned and the position of the boiler, they will use hot or cold water to bring back the presentable state of your patio. We guarantee excellent results of our patio cleaning services that are available in and near Chiswick at competitive rates. Contact us to specify your demands and whether you want out technicians to apply a sealant over your patio or not. We offer a wide range of protective sealants such us non-slippery, weed and moss repelling sprays and resistant ones. Our technicians use the cleaning power of cold and hot water under pressure to make filthy pathways, pavements and tiles thoroughly cleaned. Our patio cleaning services are carried out in W4 Chiswick by professionally trained and practised technicians. Rely on them to make your property more valuable and look better.